I am not up in the snow with a lot of you and I am very glad that I am not! But we have been having some rainy dreary days lately that have me dreaming of sunshine and spring. 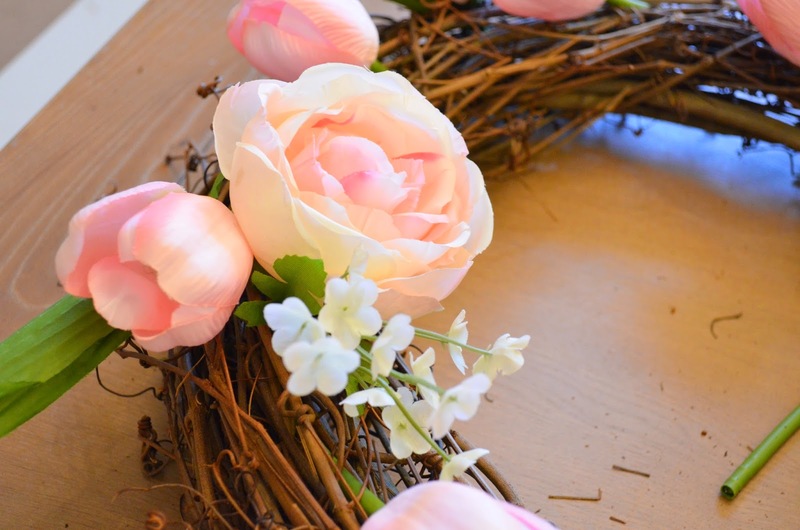 After the baby shower that I recently hosted in my home, I had a ton of faux flowers leftover that needed a new purpose! 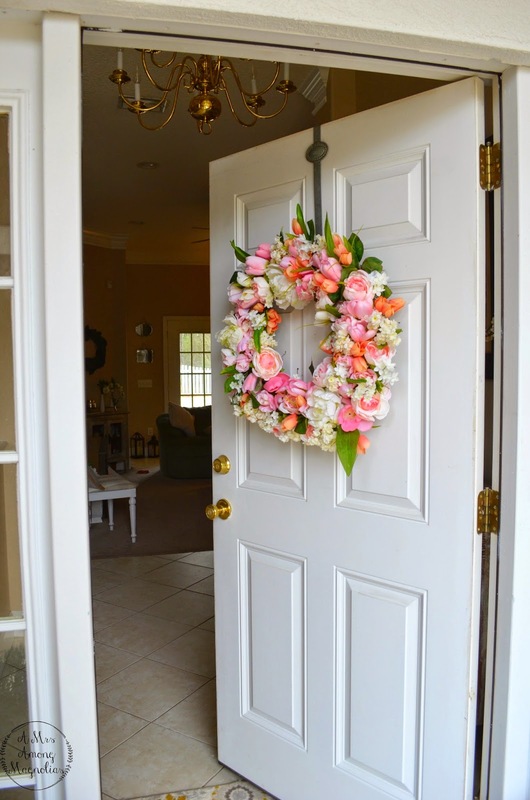 I didn't want to just put them in the closet to wait for another baby shower, so I gave them new life! 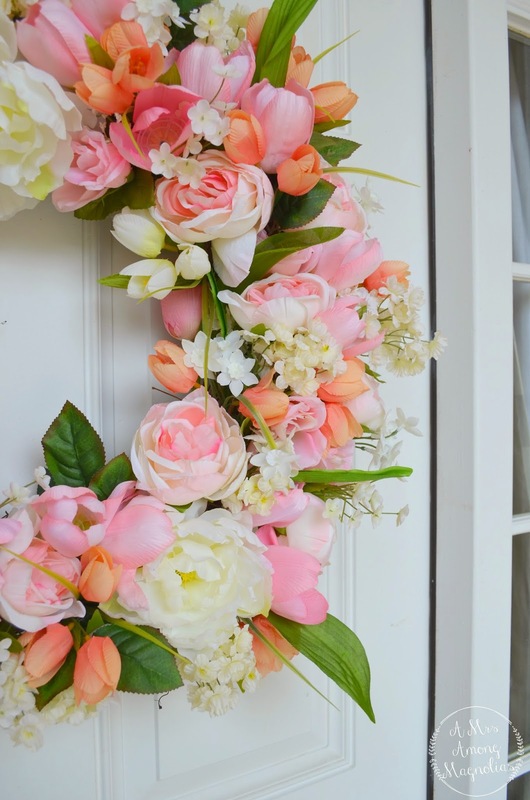 I got a vine wreath and turned those flowers into a beautiful spring wreath! 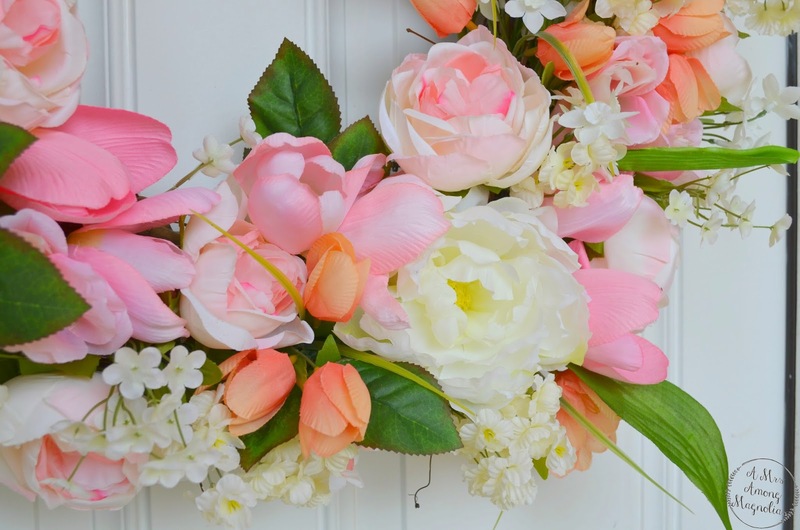 bunches of faux flowers of your choice. 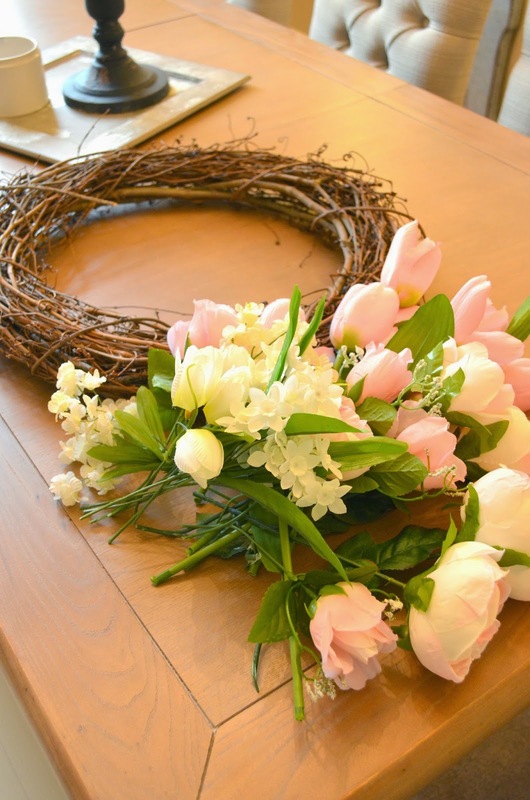 I love using vine wreaths for theses types of wreaths, because it allows you to work and move the flowers around to get them just in the right spot. 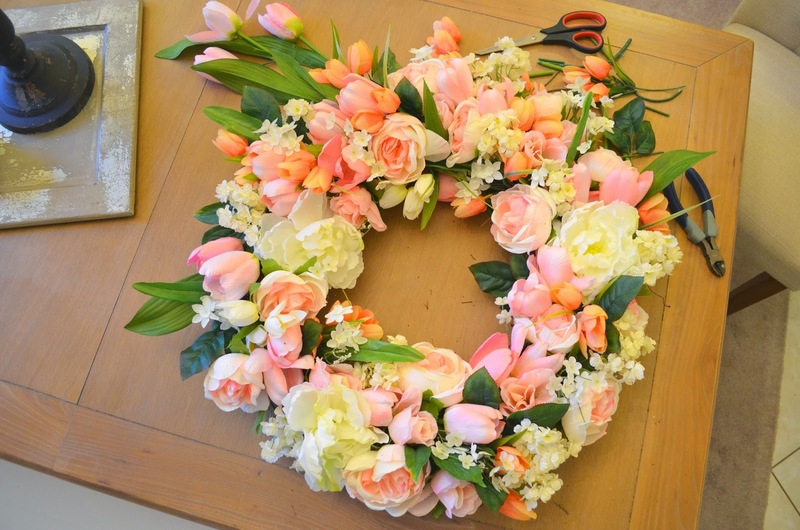 I first went around the wreath and added tulips in the center as a base for what I would work off of. 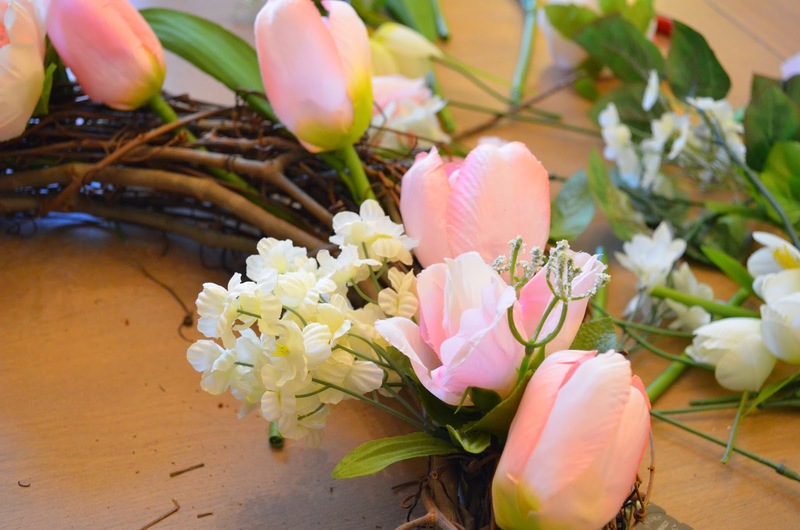 Next, I added larger flowers and some white filler flowers around the tulips. All of theses flowers, except for the white flowers in the above photo, are from Michael's spring collection. 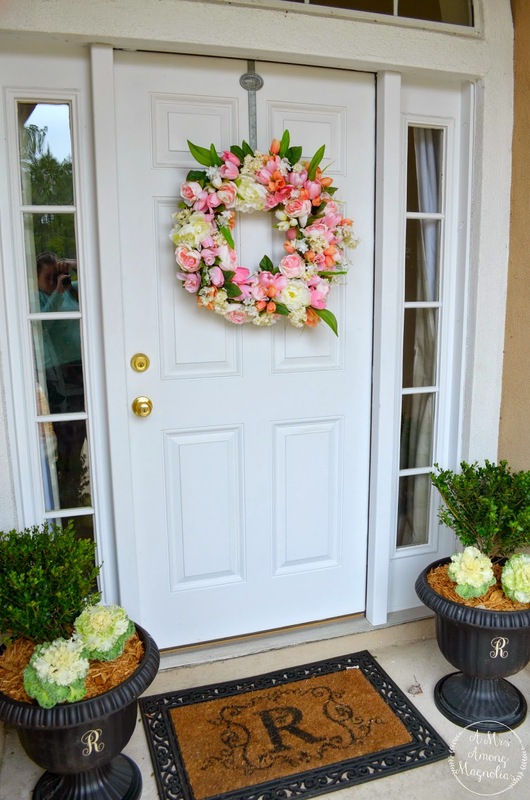 The white flowers on the left are from Hobby Lobby. The continue to fill in the spots all the way around until you have the fullness that you want. 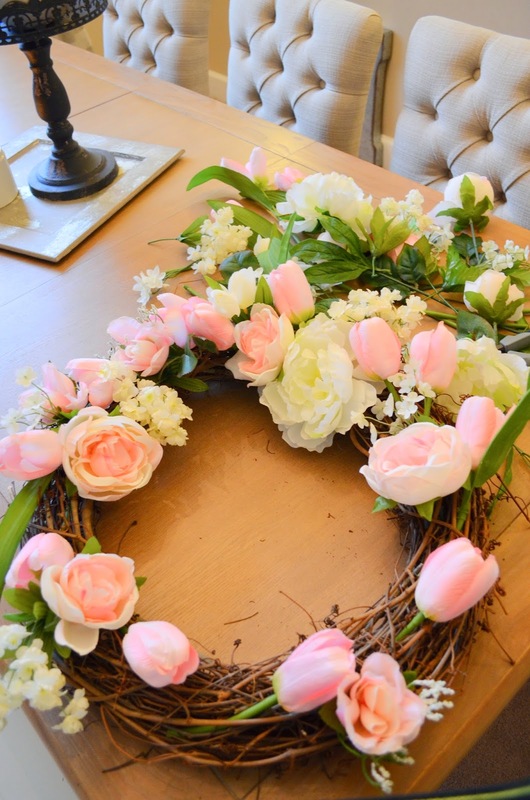 I did not want to be able to really see the vine wreath so I added lots of flowers around the inside and the outside. 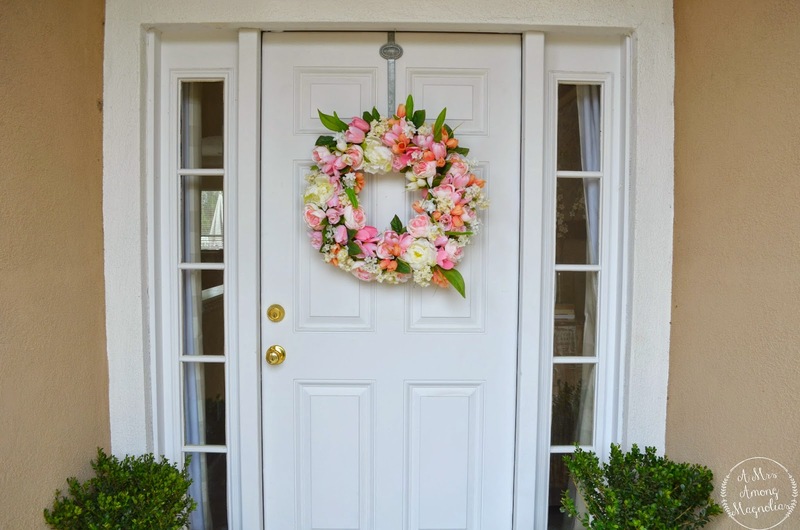 By filling in the inside and outside with more flowers, you can't see the vine wreath underneath and it just looks like a big bunch of flowers! Your neighbors will wonder how you did it! 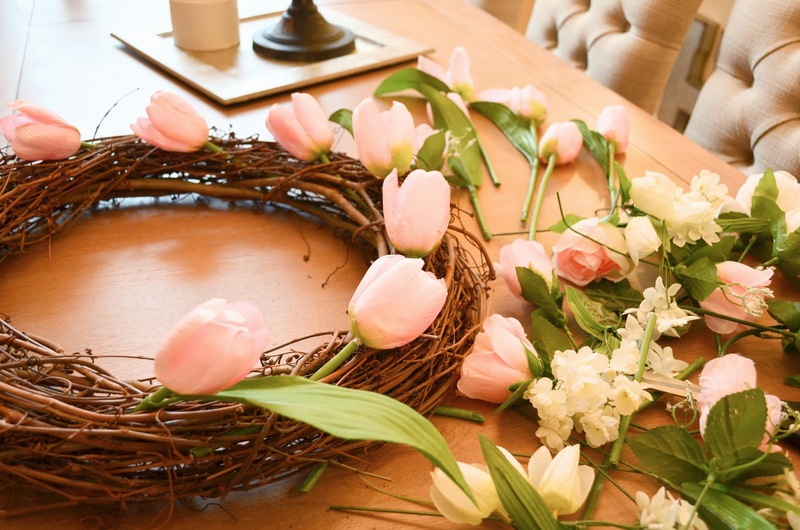 Before you know it, you've got yourself a beautiful wreath to kick the winter blues! 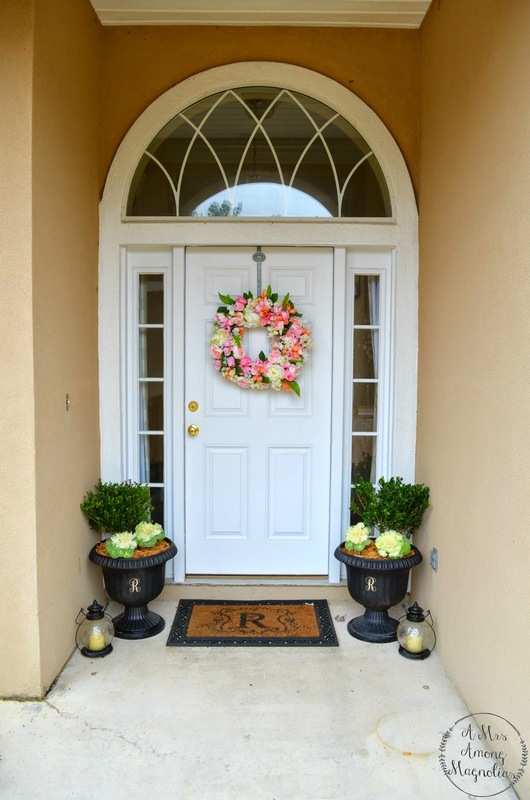 It is amazing how just one little wreath can make such a huge change! 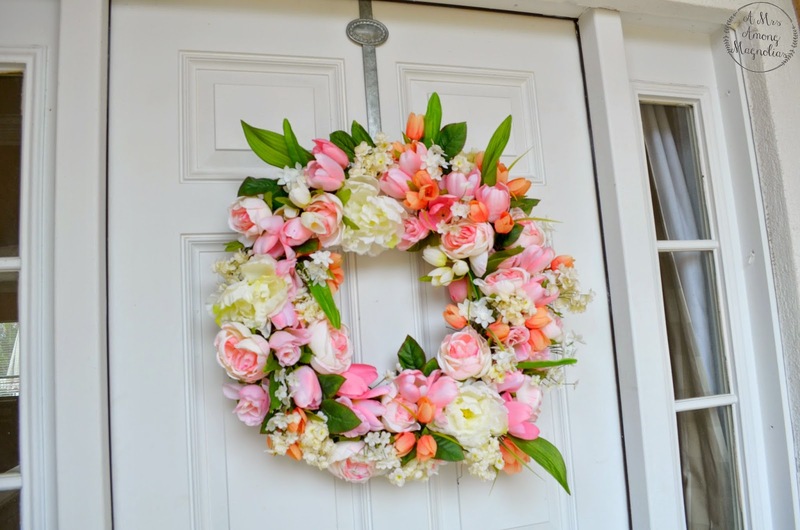 I hope you go out and make yourself a beautiful spring wreath to help with your winter blues!! This is gorgeous! I've missed seeing you on instagram.. Are you coming back soon?